DeWalt 7790, Type 8, s/n: 87080230, circa 1985, 115/230V Single Phase. 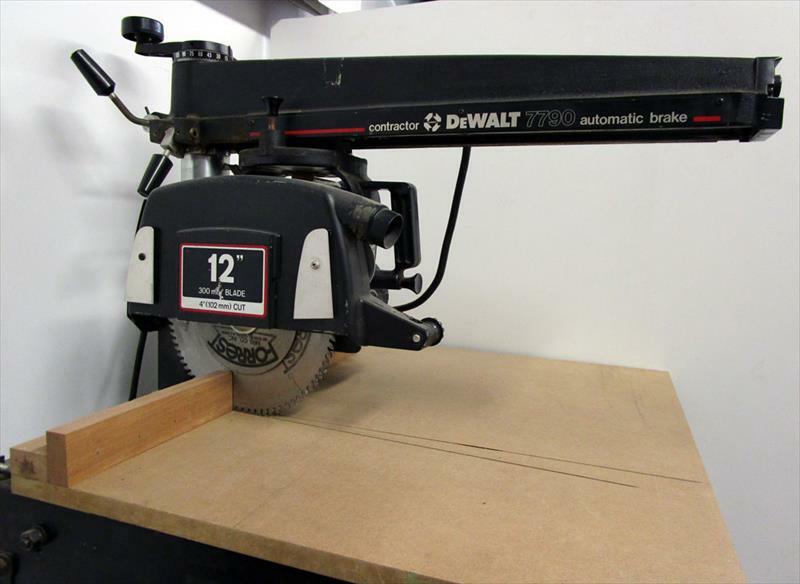 This radial arm saw was used in a prototyping shop for 10+ years. Works great with a 12" Forrest blade & stiffener ($175new) and original stand included. Missing a few safety parts: semi-circular blade guards and anti-kickback rod. Holds adjustment and motor is well-balanced. Needs a good home. Hard to say good-bye but our business no longer needs this type of machine.